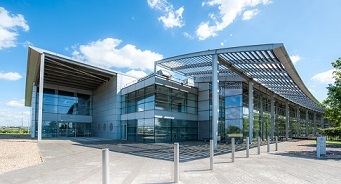 The excellent facilities of CEME, Rainham have again this year been chosen by Mondale Events and Havering Education Services for the Essex and East London Annual Schools Conference and Exhibition. Open to all Senior Leaders and Business Managers this event will provide delegates with the opportunity to listen to inspirational keynote speakers in education, to attend one of the two workshops being provided, to visit the wide range of education supplier stands and to share ideas and network with colleagues. Companies wishing to take a stand and to be put forward for approval at this event should please contact us as soon as possible. David is a researcher, trainer, entrepreneur, broadcaster, author, international motivational speaker and professional goal setting researcher. He is renowned for his interesting, humorous and inspiring presentations filled with references to his 17+ year’s research interviews with top achievers. David reaches 10’000 – 50’000 delegates every year and has presented at over 2000 events worldwide to corporate events, conferences and conventions, through to chief executive groups and the education sector. His audiences leave his presentations with the confidence and conviction to achieve their big goals. Emma is Chief Executive of the National Governance Association (NGA) - the leading charity for guidance, research, advice and training for school governors and trustees. Prior to her appointment in 2010 she was joint CEO of the Daycare Trust. Before that, she worked in a number of roles in the voluntary sector, particularly in the Legal Services Commission, Citizens Advice and the Local Government Association. As well as leading projects on child poverty and educational attainment, Emma has written on a wide range of topics and is co-author of the Chair’s Handbook. She regularly addresses legislators and the media on governance issues, as well as school governors, trustees, clerks and school leaders. She was a governor at a secondary school in Warwickshire for seven years and is a founding trustee of the Foundation for Leadership in Education. Follow Emma on Twitter @NGAMedia. Fiona has a wealth of experience in behavioural change and employee engagement. From whole organisation culture change to team dynamics and one to one coaching, she helps others to be the very best they can be in the workplace. 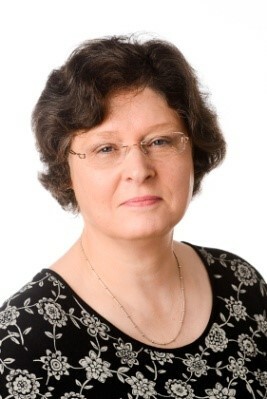 Her voluntary roles include: School Governor; Founder of Greater Birmingham Engage for Success Network; active committee member of local CIPD Branch. Sir John is one of a small, select band of educational professionals who have not only had their achievements recognised in the New Year’s Honours List but have been able to help and inspire others with their knowledge and passion. One of the most entertaining, inspiring and sought-after speakers on the global educational stage, his achievements and reputation for straight-talking, leadership and creativity have led him to be invited on to a number of panels and think-tanks including the National College for School Leadership, the DfES’ Leadership Development Unit, the Teacher Development Agency’s National Remodelling Unit and visiting posts with both Manchester and Liverpool Universities.